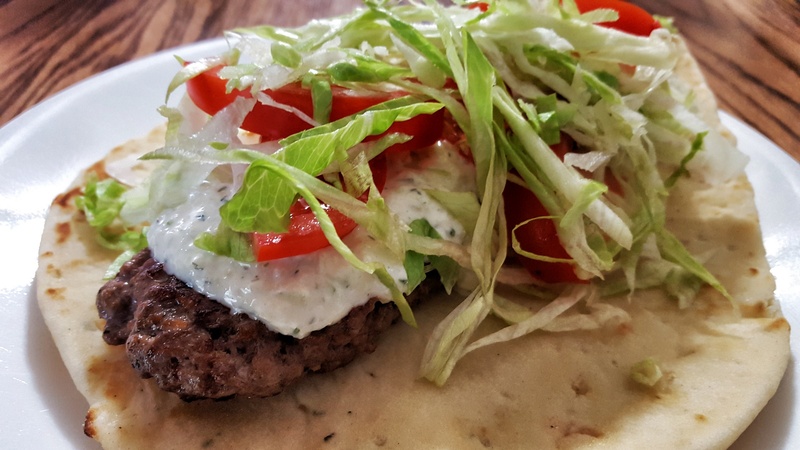 I didn’t feel like going full on Alton Brown on the little bit of ground lamb I had so I just added a ton of garlic, cumin, ginger, and a store bought Greek seasoning powder and fried it up like a basic burger. I very nearly ruined the tzatziki. Never use a stick blender if you think the cukes are not diced finely enough. Just don’t. 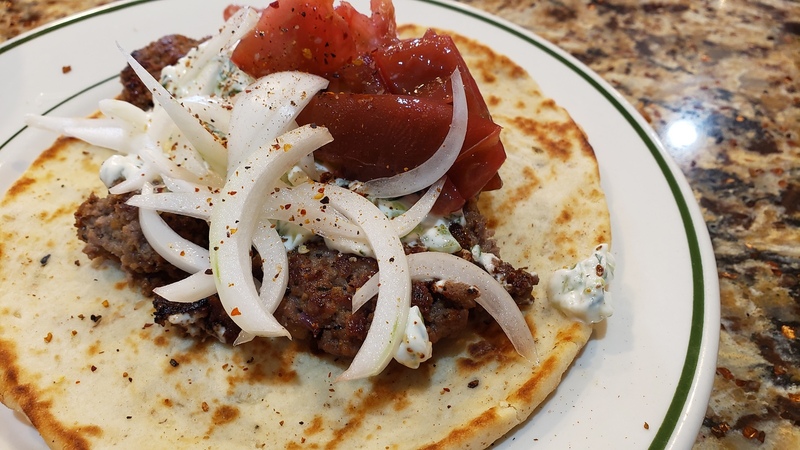 Sliced some of that tenderloin thin and warmed it under the broiler for a another take on gyros. Pretty good! Much garlic! I will take the occasion to complain about Kroger’s store brand Greek yogurt. Too thin, funny texture, didn’t taste as good, won’t buy that stuff again. 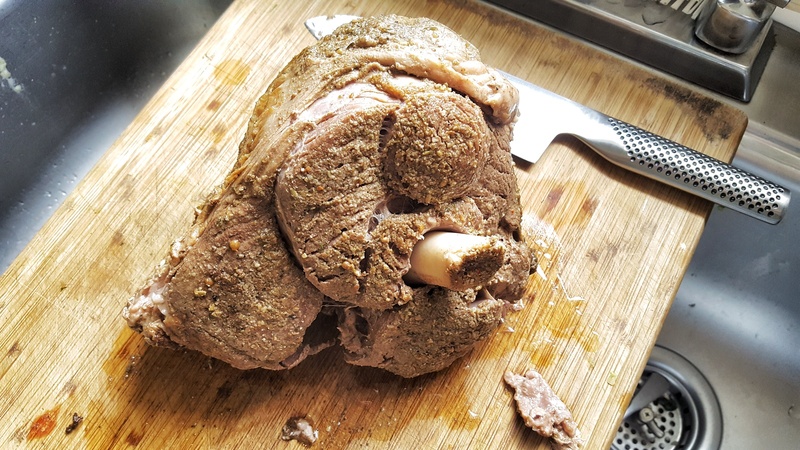 I brought up a leg of lamb from the basement freezer and decided to go the pressure cooker route. It was a little over 4 pounds and fit nicely in the Instapot. I added 2 cups of broth and dusted the leg with a spice mix made up of garlic powder, onion powder, rosemary, marjoram, oregano, salt and pepper, and set the timer for 65 minutes per the table in Bob Warden’s cookbook (45 minutes plus 20 for frozen). Needing thin slices for a gyro, I cut them from the cooked roast and browned them in oil in a skillet, dusting them with more of the spice mix. 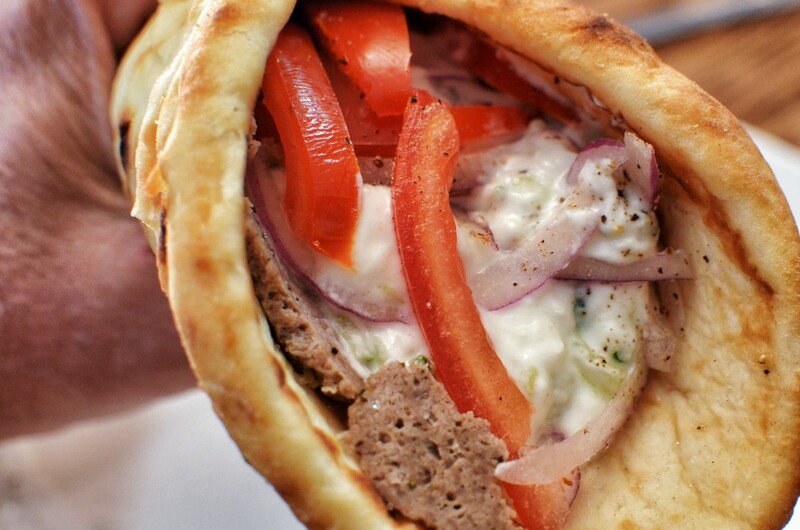 That HDR software works pretty well on gyros, too! I used fresh dill in the tzatziki this time, and a squeeze of honey, otherwise it’s the basic Alton Brown recipe (sans mint). I was tempted to use the entire 16 inch tannour loaf as a single gyro but better sense prevailed. (Note: That photo is of a typical tannour oven of a design thousands of years old, my loaf was made by more modern methods.) This one uses 1/4 of the loaf. Note the cunningly deployed mint stem used as a toothpick. LOL I think about buying some foil/paper wraps that street vendors use to hold one together. Every time I make these things and try to get a photo I am reminded that I have yet to do so. 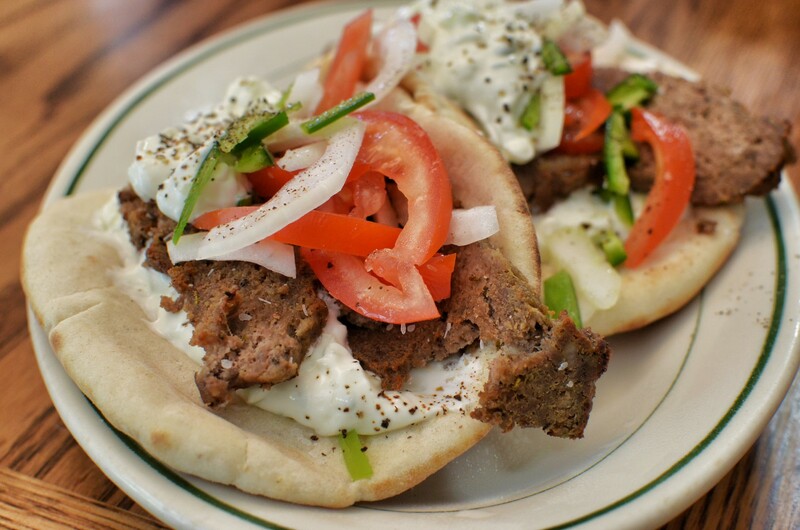 The slices of lamb/beef meatloaf are about the best that you can do at home, a serious gyro vendor will have a vertical rotisserie going. There are recipes all over the web for the meatloaf: I’ve used Alton Brown’s recipe to good effect. His uses all lamb, I’ve gone half and half with ground beef and added a few more spices – cinnamon and allspice. 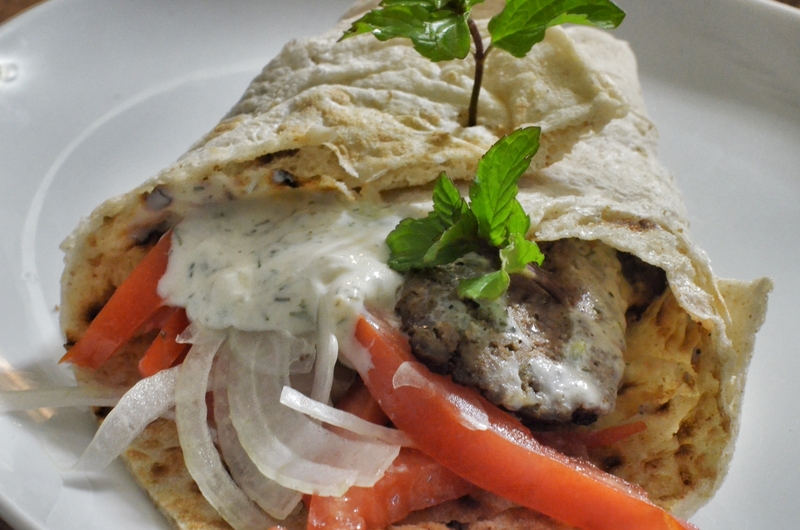 I add dill to his tzatziki sauce but mint works. 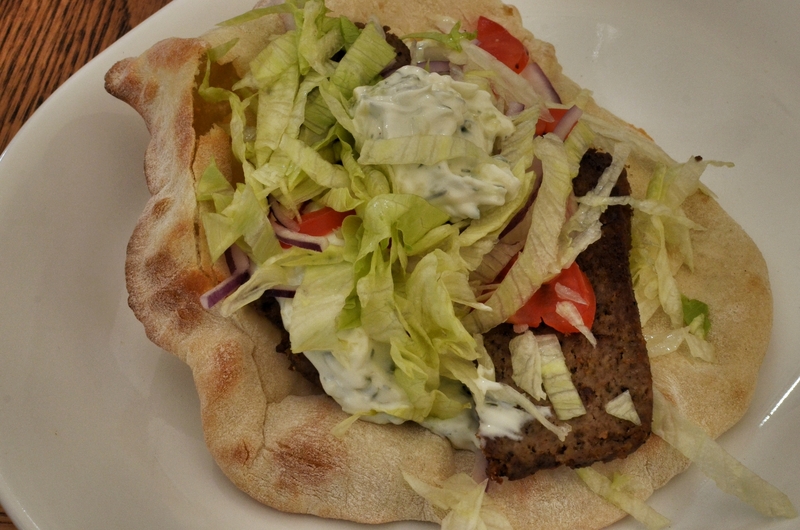 We had gyros yesterday using store bought pita loaves and they just weren’t that good. I’m guessing the turnover on flat breads isn’t very high and they were a tad stale. 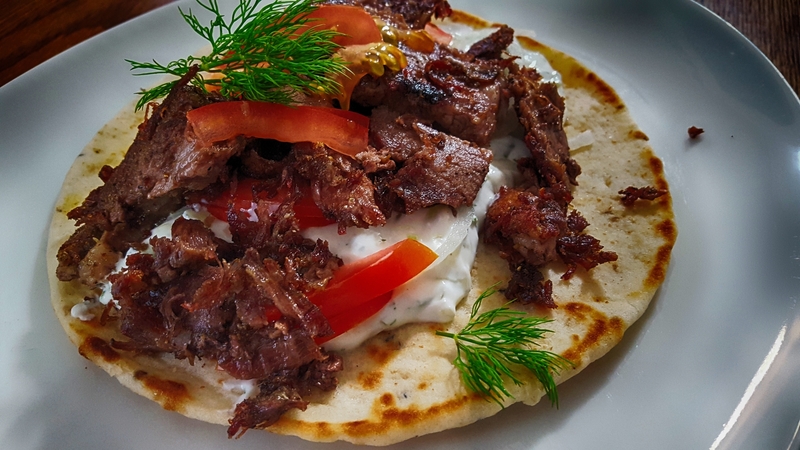 I’ve made pitas before but it’s been a while so I looked up a recipe. The NY Times recipe came up first and it looked to be easy. We didn’t have any whole wheat flour, fresh milled or otherwise, so these are made with plain AP flour. The only thing you need to watch for is getting them too brown. The recipe warns: “The pita should be pale, with only a few brown speckles.” The brown parts are very dry and fragile and crack apart rather than fold. I have a pizza stone in my oven, big enough to do two of these at a time without crowding. A couple of them puffed up like little pillows but most of them just blistered here and there. The loaf is from Alton Brown’s recipe, as is the tzatziki sauce. I make a few alterations in his recipe, adding 1/3 part hamburger and several slices of bacon to the loaf recipe and this time I added fresh chopped dill to the yogurt sauce. I haven’t used lettuce before but I thought it needed a little more green and we had no mint for a garnish. Back by popular demand! (Mrs J wanted some.) These are made with 2 lbs of ground lamb, 1 lb ground beef, 5 slices bacon, an onion, a couple tablespoons of garlic, some ground thyme, rosemary, oregano, black pepper, and salt. Whirl the onion in your processor and squeeze out the water, then run everything in the processor until it’s just a paste. I divided the result into two loaf pans and cooked them in a water bath until they reached 165 degrees. Drain the fat and weight the cooked loaves with foil wrapped bricks as they cool on the counter. Chill and slice thin, then broil until the edges brown. 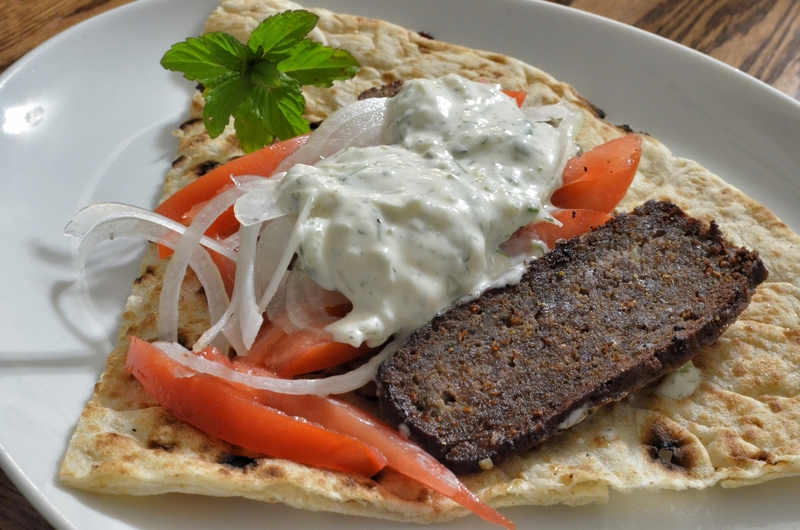 The tzatziki is the usual: Greek yogurt with minced cucumber – squeeze out the water, garlic, oil, and a splash of red wine vinegar. I went looking for mint but had to settle for some fresh oregano to chop into the sauce. Worked fine. It turned off cool and rainy as a cold front passed through. It had been hot enough for the AC. 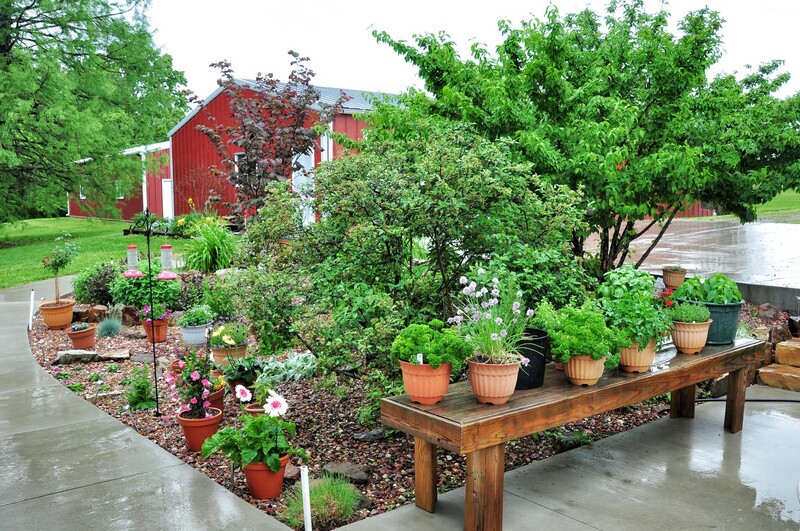 Mrs J has been potting up a slew of flowers, and I have been struggling to keep up a similar pace with my herb garden. 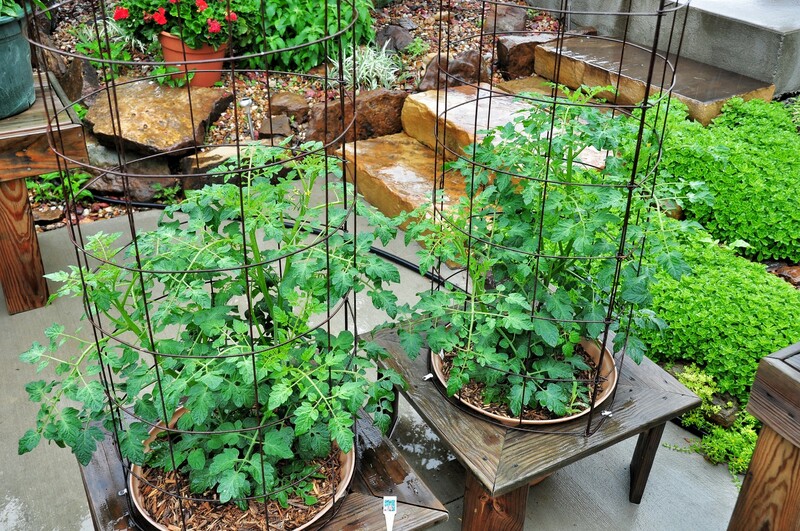 My pair of cherry tomato plants. These are Sweet Millions, a new variety for me. We have some tiny green tomatoes coming along and it shouldn’t be long before I’m enjoying them sauteed in oil and garlic over spaghetti. Yum! My usual lineup of peppers. 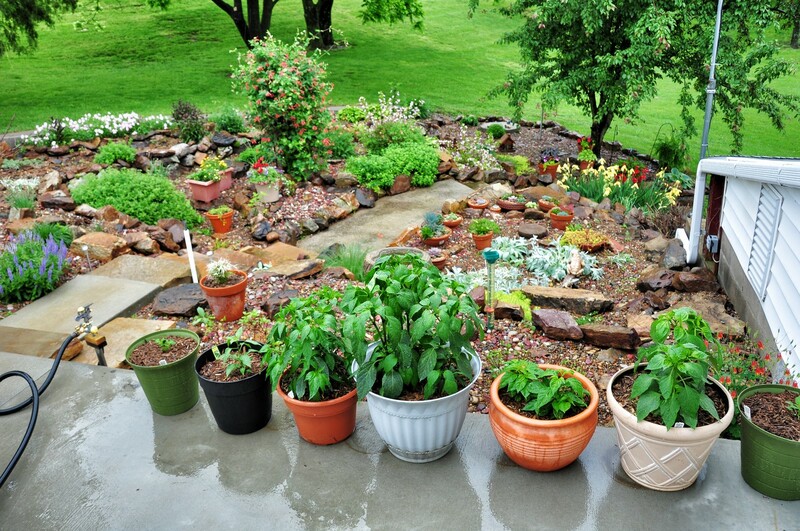 I have more of those little sweet peppers, habaneros, jalapenos, cayenne, serranos and Anaheims. 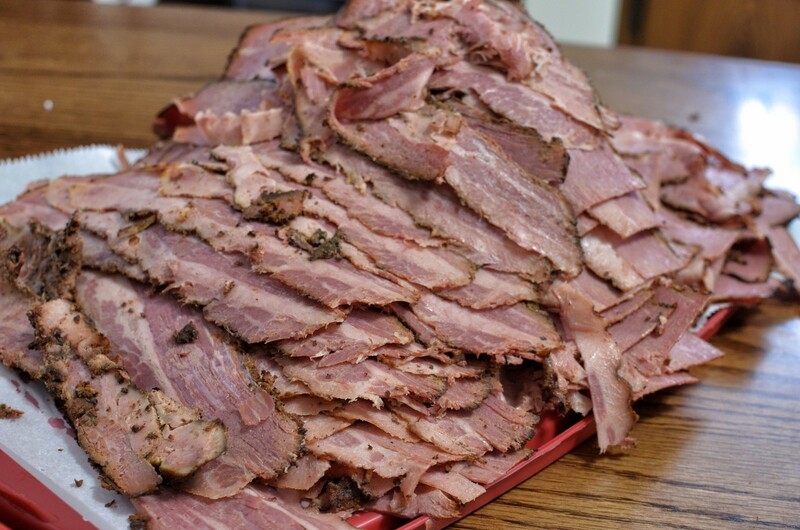 I corned a big brisket and made it into pastrami. It gave the new meat slicer a good workout. We’ve had a few reuben sammiches from it. I bought one of those vacuum sealing kits and used it to package and freeze most of this. I’m beginning to use the sealing thing more and more as I get used to it. I sealed three slices of that last pizza, freezing the slices first so the pieces would not come out of the bag as a big mess. 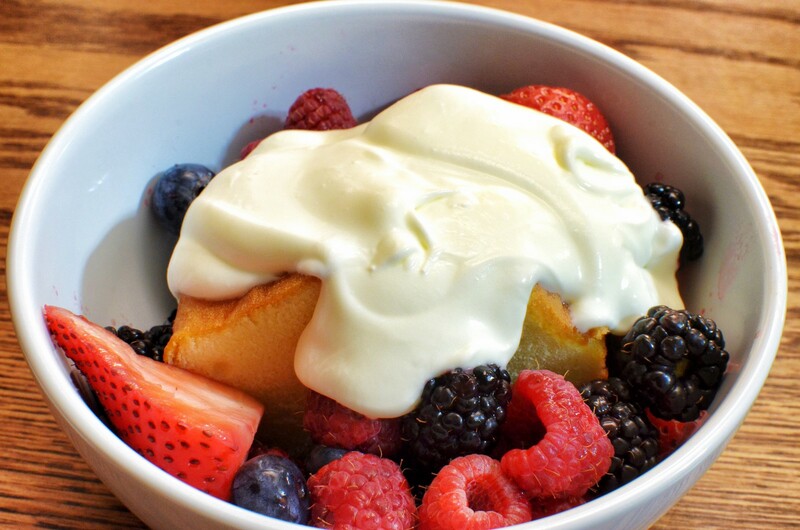 We’ve made a few batches of creme fraiche and are learning more about it. I have been using plain yogurt as the additive to the cream and letting it work longer before it goes into the fridge so that it thickens better. It’s good on all kinds of stuff, I used it as part of a creamy dressing for a slaw the other day to good effect. We had cheesesteak the other day. I used a marinade on the thin sliced flat iron steak as a change from the usual recipe where I just salt and pepper the beef and fry it in oil with the onions. The marinade was Dijon mustard, balsamic vinegar, garlic, and oil. I grilled the onions separately this time. Saute the meat until the marinade dries and the slices start to get crispy edges, then layer on Swiss slices and cover the pan to let the cheese melt. 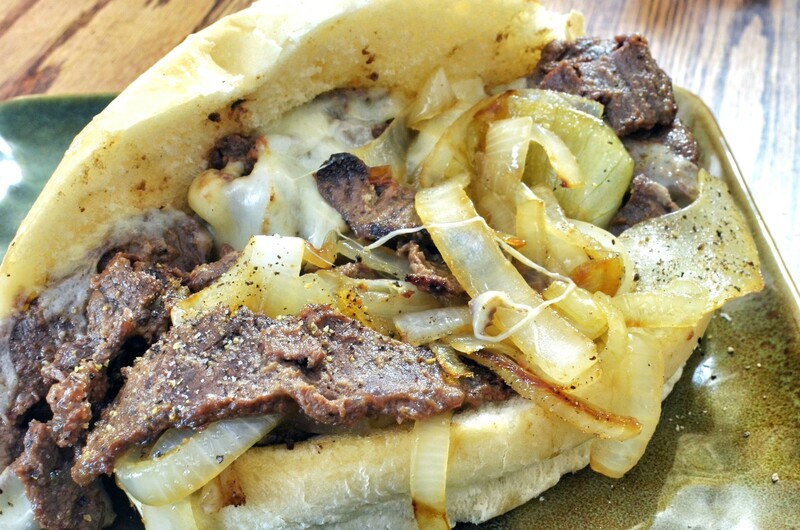 Use a big spatula to transfer the filling to a split hoagie roll and top with the onions. 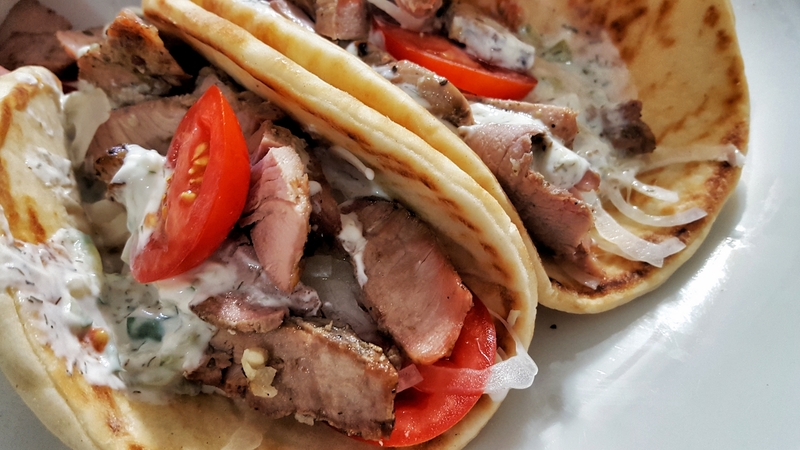 Gyros! Well, I did have a tub of yogurt opened already from making the creme fraiche. 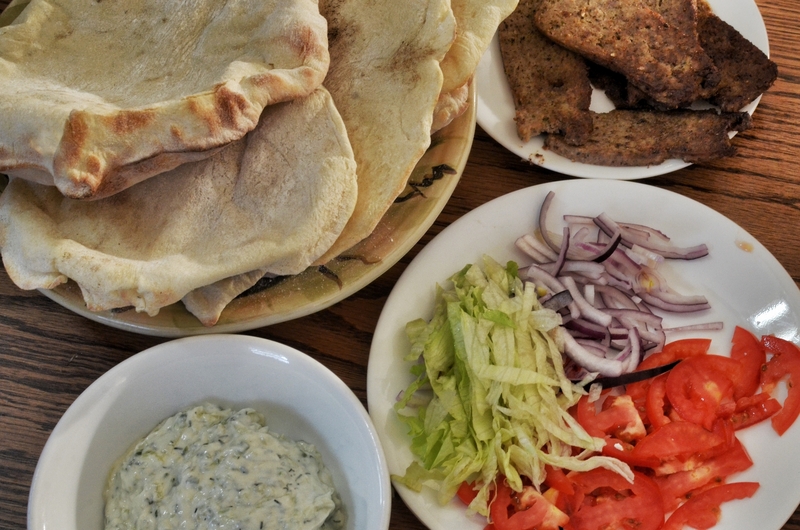 We used naan loves this time instead of the regular sized pitas. Starting to get into summertime mode where fish fries are standard. 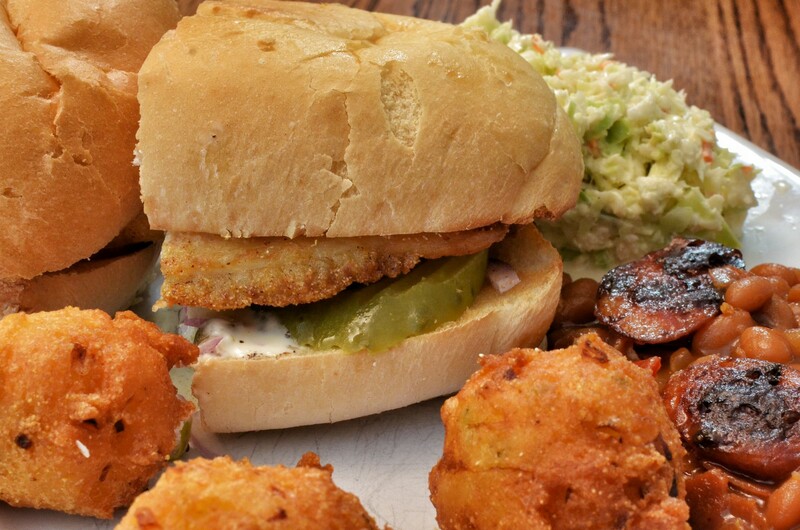 We have a menu for these things that varies little: The fish, slaw, baked beans, and hushpuppies. Not a hushpuppy! LOL! 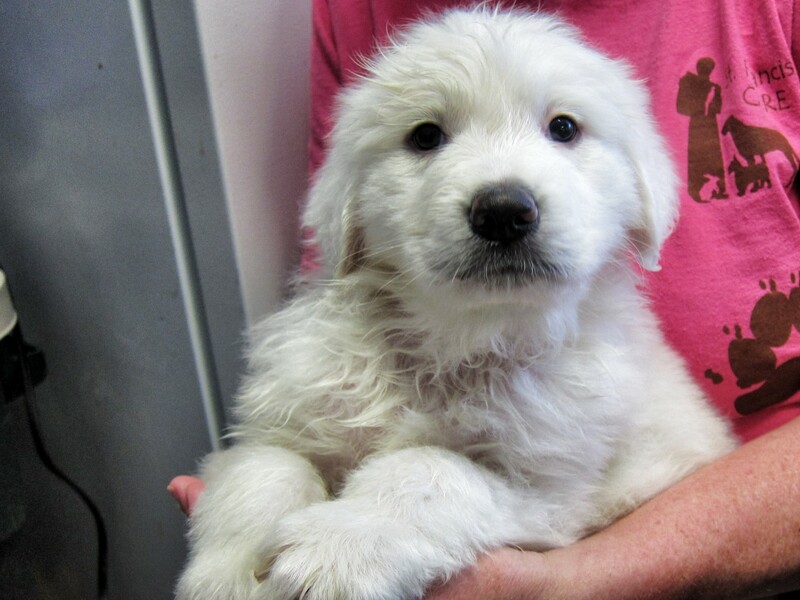 This is a Great Pyrenees pup. He’ll be a big boy one day, soon.